The programme of Willem de Kooning is 240EC and consists of projects and practices in your major, a minor, an internship and your graduation project. The following majors are possible: Fine Art, Photography, Advertising, Animation, Audiovisual Design, Fashion Design, Graphic Design, Illustration, Lifestyle, Product Design, Spatial Design. In year 1 and 2 you will focus mostly on your major. More information about the majors and practices. EUC courses relevant to your studies at WdKA will beEUC courses relevant to your studies at WdKA will be included in your study plan for 60EC. In year 3 you will combine an internship of 15EC in the second semester with courses at EUC. In year 4 you will be able to take electives relevant to your major. In year 5 you will be able to take a minor of 30EC. The minor courses are offered as a means to make an in-depth study of a specific aspect of your field of study, or to broaden your professional or artistic scope by gaining skills in related fields of study. You will complete your studies at WdKA in the last semester with your graduation project (15EC). More on undertaking the Double Degree with WdKA. Meet Jasmijn a Double Degree student who combines Illustration at Willem de Kooning Academy, and Humanities with Arts at Erasmus University College. The academic core consists of four academic skills courses and five interdisciplinary courses (45EC in total). The Core is required for all students and is designed to impart essential academic knowledge regarding what every well educated student should know about life and society. The ACC courses are scheduled in year 1 and 2 of the Double Degree programme. More information about the academic core. A major is a cohesive selection of courses, consisting of at least 60EC, that together constitute a specialisation. Erasmus University College offers majors in four different areas: Humanities, Economics & Business, Social & Behavioural Sciences, and Life Sciences. Please note that some of the majors are excluded from the programme, such as for example PPE, the Medical Track or Double Majors. You will take your first major course in the second semester of year 2. More information about the majors offered at EUC. Instead of electives you will take courses at Willem de Kooning Academy. This means that 60EC of the required courses at WdKA will be registered as EUC electives. This allows you to graduate from both programmes in five years instead of seven. For every student of Erasmus University College (EUC), the final part of their studies will be the capstone (15EC). The capstone is a research based project that can take on different forms, depending on a student’s major and preferences. More information about the capstone. To get an impression of the curriculum you can check the WDKA-EUC curriculum 2017-2018, please note that this is an example and as such is subject to change. RASL is Rotterdam Arts and Sciences Lab. 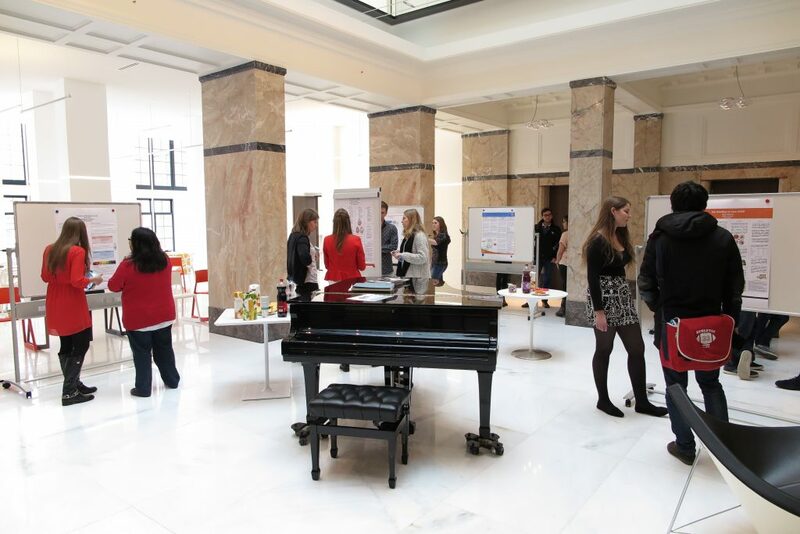 Codarts Rotterdam, Erasmus University Rotterdam (EUR), Erasmus University College and Willem de Kooning Academy Rotterdam are collaborating more intensively and joined forces in the Rotterdam Arts and Sciences Lab (RASL). We intend our collaboration to, firstly, advance the exchange of knowledge on education and research. And secondly, to offer students the possibility to develop their skills in accordance with the changing artistic professional practices and societal issues. If you're thinking about studying at Erasmus University College, then you can attend their last Experience Day of the Academic year on April 26th 2019.